A show top seller!! 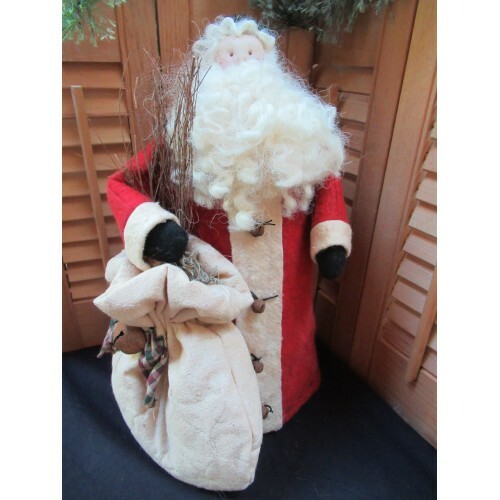 Sinterklass is 15" tall and wears a coat made of red wool felt trimmed with "aged" warm and natural batting. His buttons are rusty bells. 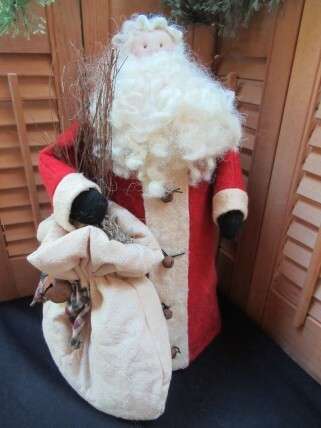 His face is hand stitched and his beard is made of curly wool, A halo of greenery sits atop his head, The quilted sack is stuffed with a bit of Spanish moss and twigs. A large rusty bell is attached with a strip of homespun.